Three years ago this month, Celeste, Letty, and I sat on the grounds of the state capitol and dreamed of the day we’d all do a 5K together. We were in Austin for a 4-day training and had strolled up Congress Avenue after the day’s work was done. Today was the day that dream came true! 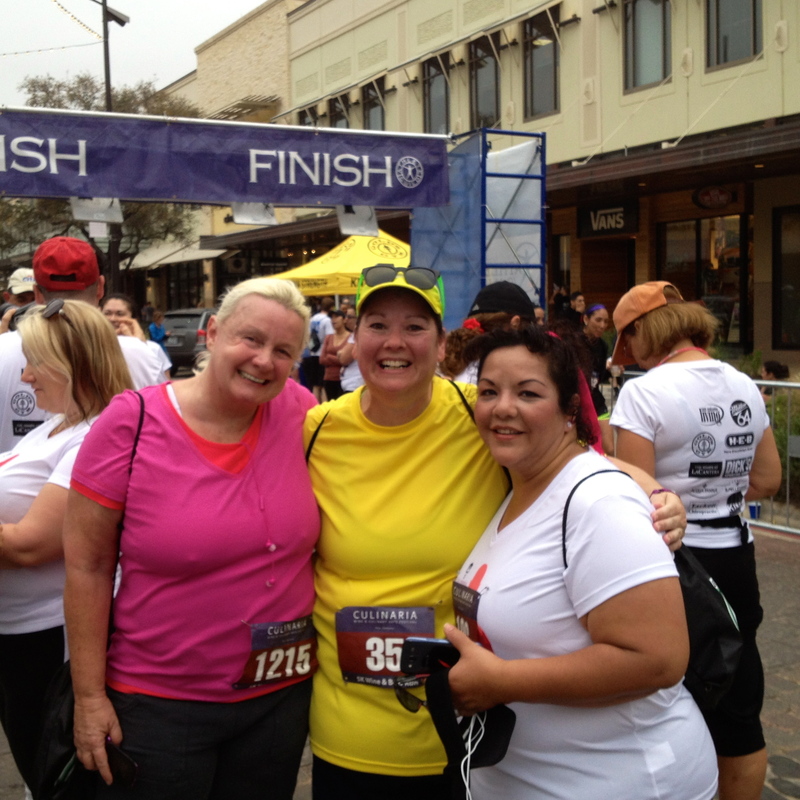 This photo was taken after we had crossed the finish line at the Culinaria Wine & Beer Run. Celeste & I have entered several races since that afternoon conversation. This was Letty’s very first race and she did great! It was awesome to experience this with my friends and colleagues. Here’s to many more dreams that become reality!